It’s been a big 24 hours for my fellow canucks. 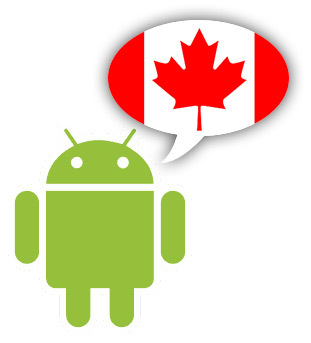 After paid apps finally became accessible in the Canadian Apps store yesterday, Google Canada’s Twitter announced that the Nexus One would finally be able to be shipped to to Canadian customers earlier today. Interested parties should note that the Nexus One is only available on the Rogers mobile network. Customers on Canada’s Telus network have noted that they haven’t been able to view paid apps on their App Market; as a Milestone owner on Telus, I can attest to this. Trying to search QR codes for paid apps come back with no results, and searching the marketplace for paid apps (I’ve been searching for apps with “pro” in the title) don’t return anything, either. Users who can see paid apps have reported the prices being displayed in foreign currencies; it should be a matter of time before Google Canada converts these into a much more coloured-cash-friendly CAD.